tetragrammaton YHWH is neither to be used or pronounced. 2. For the translation of the Biblical text in modern languages, destined for liturgical usage of the Church, what is already prescribed by n. 41 of the Instruction Liturgiam authenticam is to be followed; that is, the divine tetragrammaton is to be rendered by the equivalent of Adonai/Kyrios: “Lord”, “Signore”, “Seigneur”, “Herr”, “Señor”, etc. 3. 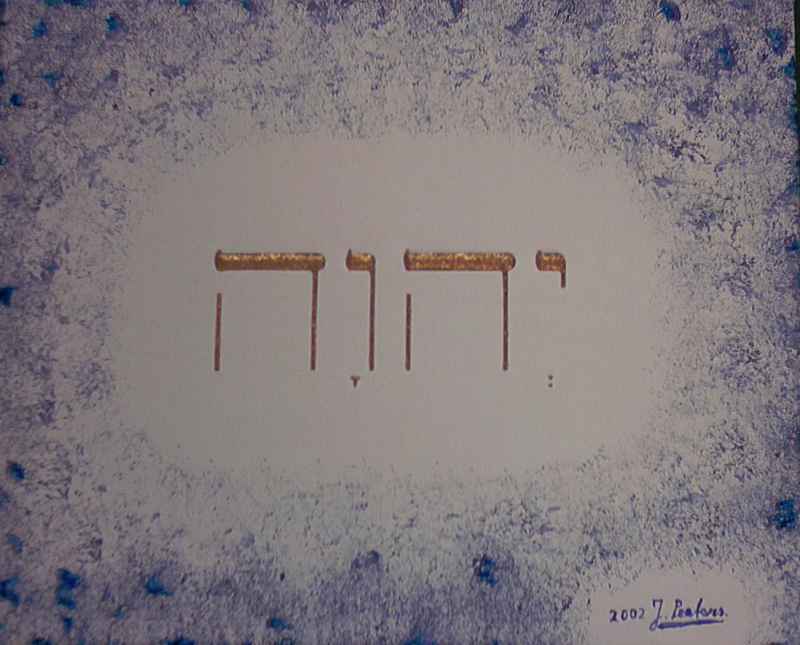 In translating, in the liturgical context, texts in which are present, one after the other, either the Hebrew term Adonai or the tetragrammaton YHWH, Adonai is to be translated “Lord” and the form “God” is to be used for the tetragrammaton YHWH, similar to what happens in the Greek translation of the Septuagint and in the Latin translation of the Vulgate. Avoiding pronouncing the tetragrammaton of the name of God on the part of the Church has therefore its own grounds. Apart from a motive of a purely philological order, there is also that of remaining faithful to the Church’s tradition, from the beginning, that the sacred tetragrammaton was never pronounced in the Christian context nor translated into any of the languages into which the Bible was translated. As commentary, the teaching presented by the Church was taught to me and my classmates at Notre Dame High School (W. Haven, CT) in Mr. William Parkinson’s Old Testament class in 1983. So, I think we were fortunate to have had the correct catechesis and praxis at that time in our Church’s history. Having said this, I wonder about the arrogance (perhaps mere ignorance?) of Christians using of the Divine Name incorrectly and I wonder how long it will take publishers to change their editorial policy. I am thinking of the dreadful liturgical songs still used in parishes.